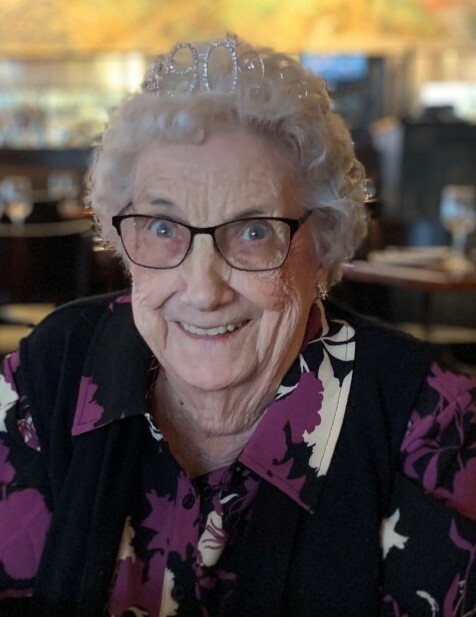 Ruth V. Molinaro, age 90 of Fridley, Minnesota, passed away peacefully on Saturday, March 23, 2019. She is preceded in death by husband, Robert; parents; 2 sisters; and 3 brothers. Survived by children, Mary (Bret) Mady, Bob, Nancy Nelson, Sue (Roger) Hogrefe, Joe (Ronni); 10 grandchildren; 5 great grandchildren; nieces, nephews, other family members and friends. Mass of Christian Burial will be celebrated at 11:00 a.m., Monday, April 1, 2019 at Saint Vincent de Paul Catholic Church, 9100 93rd Avenue North, Brooklyn Park, Minnesota. The family will greet friends one hour prior to mass at the church. Interment at Fort Snelling National Cemetery.